Original used Silver Nintendo Gamecube controller. Also works on the Wii with Gamecube games. Tested and guaranteed to work! 40 bucks for a fully functional great condition controller? sign me up. the quality was great; looks nice, feels nice, made me feel nice, everything about it was worth the money and more. important note: when you purchase used controllers online, youre taking a big gamble. some customers gave a poor review because their controller was in poor condition, while this is understandable, its just a risk you take when you order these. luckily for me and evidently for the most of the customers, lukie games hit us up with a wondrous deal that you won't find anywhere else. For the price, this controller is fantastic quality! I was skeptical at first seeing that it was used but after reading other reviews I thought I’d try one since quality older console controllers are hard to come by nowadays. The buttons are all clicky and responsive and while I can tell it is not brand new, this controller was just as good as any of my old ones that I’ve taken good care of throughout the years. If you’re considering buying a GC controller from here, DO IT! Best $40 you’ll spend. Ordered two GameCube controllers; one silver and the other indago blue. Both controllers came with in a week in great condition. 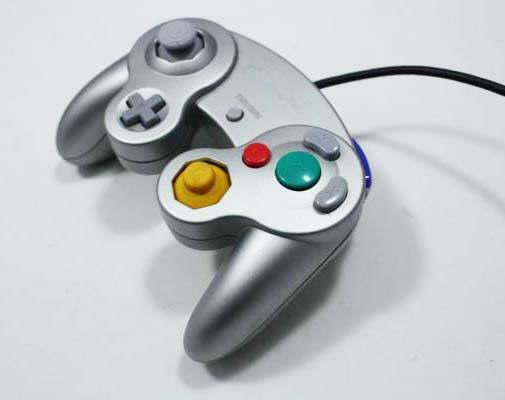 I play Super Smash Bros. Melee competitively, which is known as one of the most APM intensive fighting games on the market, so naturally the controller would be a vital part in your performance, but as soon as I got the controller, I quickly realized it was perfect. 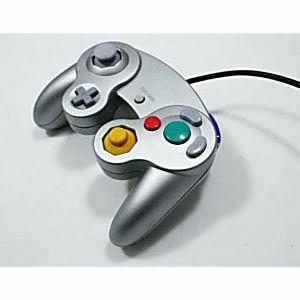 Not only does it meet technical demands, but it was in great condition for a used controller, and I would not hesitate to recommend this item to anyone else looking for an original GameCube controller. got it on time, work perfectly thanks lukie games!!!!!!!!!!!!!!!!!!!!!!!!! Works perfectly. Was broken in just the right amount for melee. I was highly impressed with the speedy delivery, and then very pleased with the product. It appeared to be new, not a mark on it and works great! I have this in my Favorites to come back often. This is much, much better than those cheap $10 knockoff controllers on this site. Worth the extra money. Took a little while to get, but considering I'm pretty far, it's fair enough. Quality is really good. Has little marks there and there but nothing major, and every buttons/joysticks looks perfect. Great buy ! This GC Controller is definitely the original marketed Nintendo brand. If you are gonna buy any used GC Controller, this is you best bet. Purchased 2 gamecube controllers. Got them very quickly, and they work excellent. I would recommend this website to any and all gamers out there.